Based in Maidstone, we specialise in providing design, installation and maintenance solutions for mains electrical systems, electronic security systems and fire alarms in Kent, London, Sussex, Surrey, and the Home Counties. Need CCTV installations? Come speak to the expert installers here at Q-Tec. Q-Tec Solutions is an engineering led company with a strong commitment to quality and customer service. From the addition of one electrical socket to a major electrical refit our customers can expect the same level of professionalism without compromise. With a range of electrical maintenance and testing services, we are certain that we will be able to provide the professional and expert services that you require. Our professional fully qualified team boast over twenty years of combined industry experience in each field. They are experts in providing security systems to ensure that your property is kept safe from potential threats. Providing our customers with the unique opportunity to design manage and control all of their security and electrical installations through one point of contact, whilst reaping the benefits of the reduction in costs and controlled management of their projects. Our team are professionals in installing and testing intruder alarms or fire alarms so you are able to stay safe in your home or business. 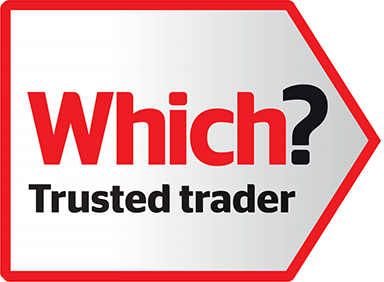 As an NICEIC approved contractor (all parts), all of our systems are designed and installed professionally to the highest electrical and British standards. We want to ensure that any electrical installation or fire alarm installation is completed to the correct standard so you are assured that it works and are paying for the highest quality products. We push our work and our team provide the best in structured cabling and electrical maintenance so you know you are getting the service you deserve. We have no affiliation with any suppliers, meaning every system we design is based around your specific needs and not restricted by the equipment available from just one designated supplier. Your finished product will always meet your design specification. Based in Maidstone, we work throughout London, Kent and the Home Counties, providing domestic and commercial clients with the very best security, electrical and fire installations. Many of our recent projects have been for clients in Reigate, Tonbridge, Lewisham, Portsmouth, Tunbridge Wells, Ashford, Canterbury, Chelmsford, Maidstone, Orpington, Bromley, Medway, Stevenage, Fulham, Islington, Westminster, Barnet, Colchester, Dartford, Milton Keynes, St Albans, Brighton,Hastings, Sevenoaks, Croydon and London. Q-Tec pride themselves on providing quality solutions for all your security and electrical needs. Providing the service and reliability our customers rely on time and time again. Please feel free to contact our friendly support staff today for a free no obligation.